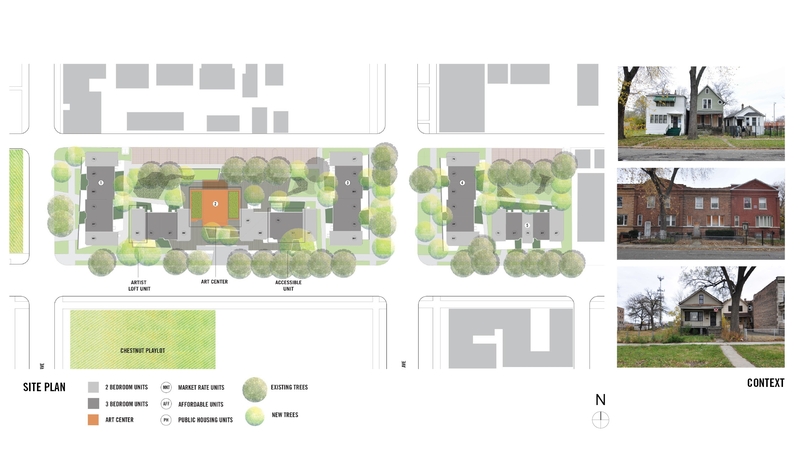 Jurors were intrigued at the premise of creating mixed-use housing — a mix of artists and underserved populations — in a former Chicago Housing Authority project built in 1980 and vacated in 2007. 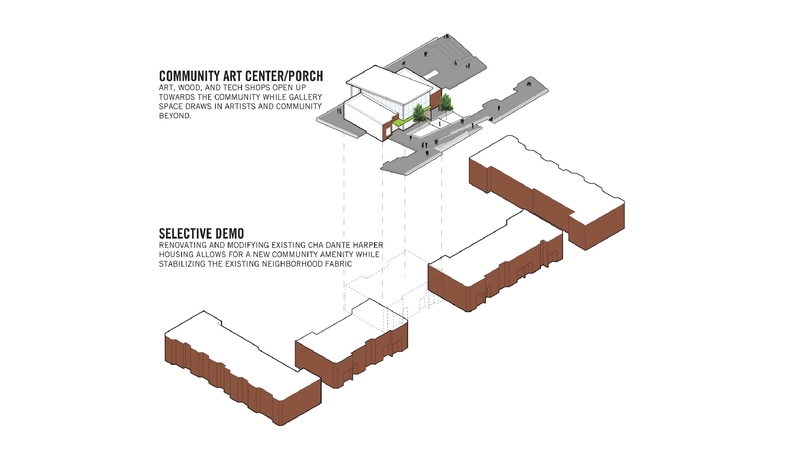 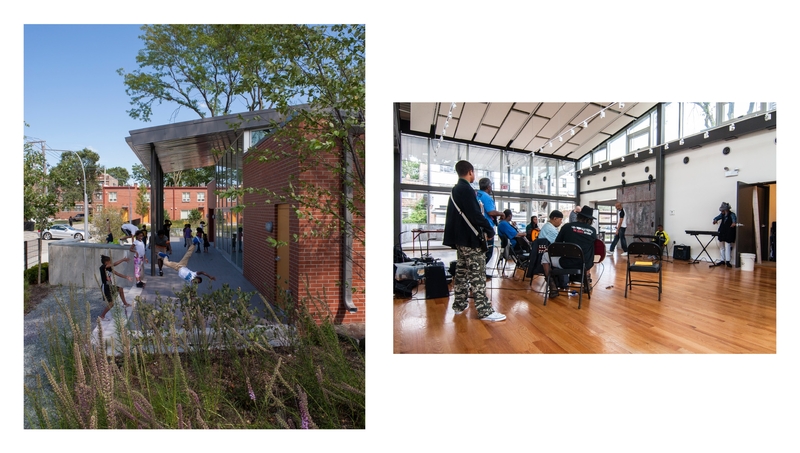 The abandoned homes were transformed into a vibrant arts housing and cultural hub; and, a successful collaboration between private, public and nonprofit sectors. 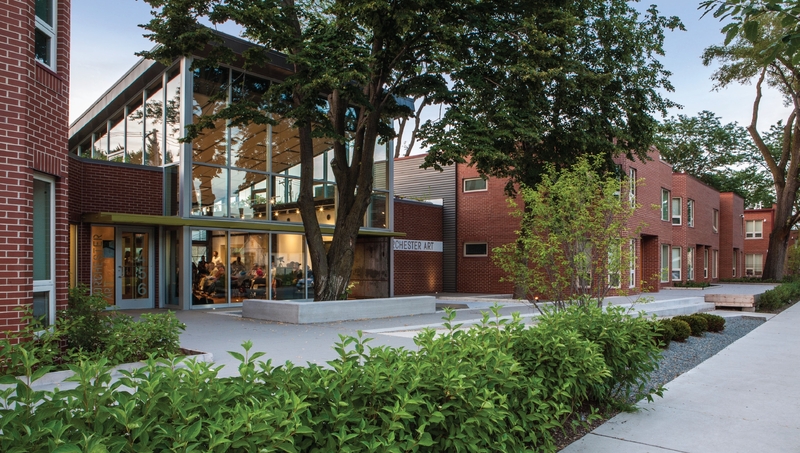 Residential units are distributed between low-income, affordable and market rate units. 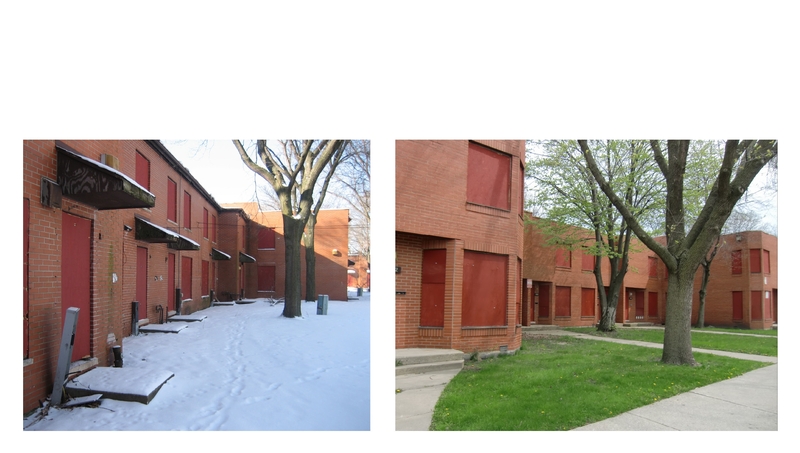 To bring the project into accessibility compliance, four units were gutted and converted into flat configurations. 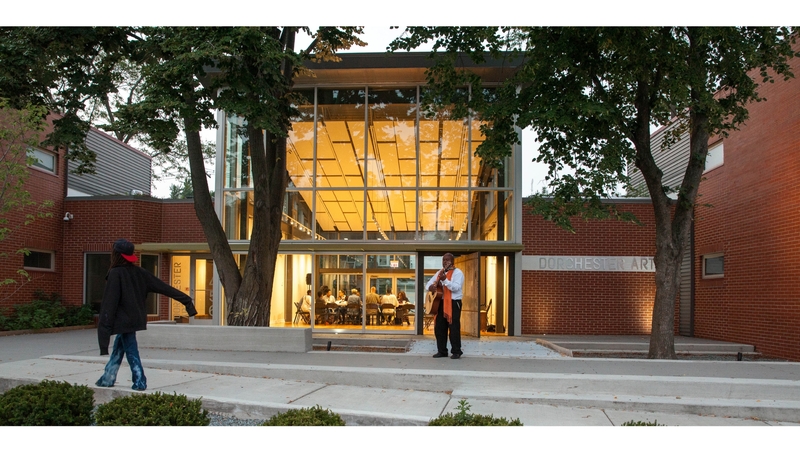 The renovation was designed to Energy Star standards with stormwater storage on-site.